In choosing the name for its Health Research Institute the University of Bristol recognises the outstanding contribution of Elizabeth Blackwell in the field of healthcare both in the US and here in the UK. She is an inspirational figure who exemplifies the spirit of what our Institute is striving to achieve. Elizabeth Blackwell is one of Bristol's most influential daughters. She was the first woman to qualify as a doctor in America and the first woman to have her name entered in the British General Medical Council’s medical register in 1859. She was a pioneer, instrumental in many campaigns for reform, launching numerous innovative health schemes and a tireless worker for health care. 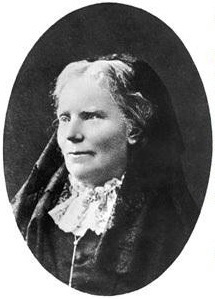 Read our biography of Elizabeth Blackwell.